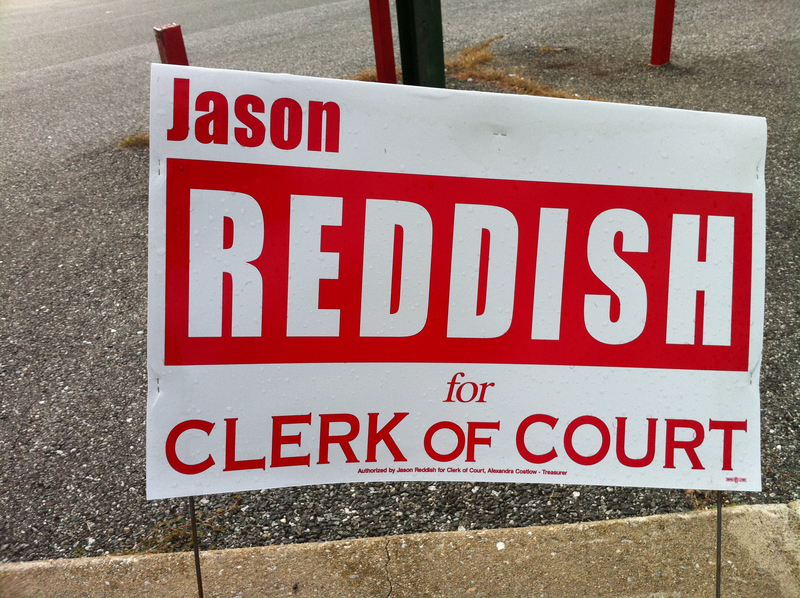 Less is more when it comes to campaign signs. 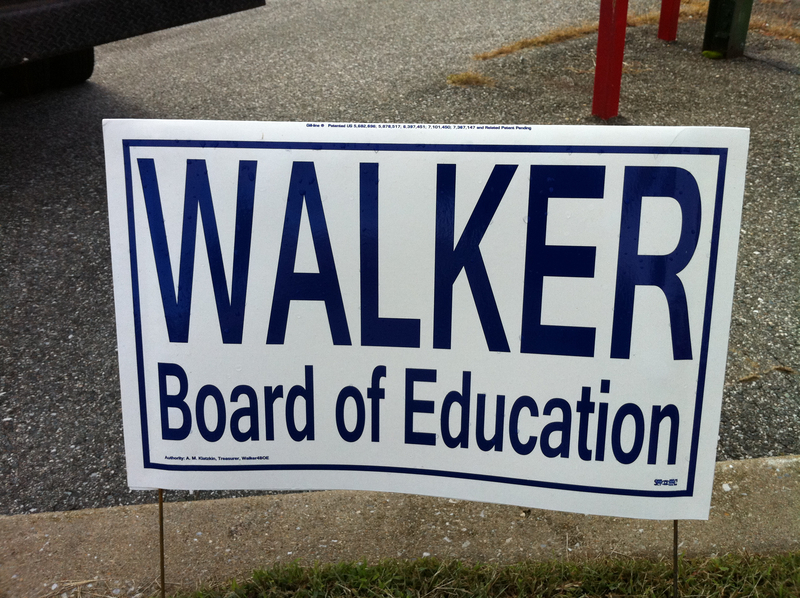 Whether campaign signs actually make a difference or not is disputed. 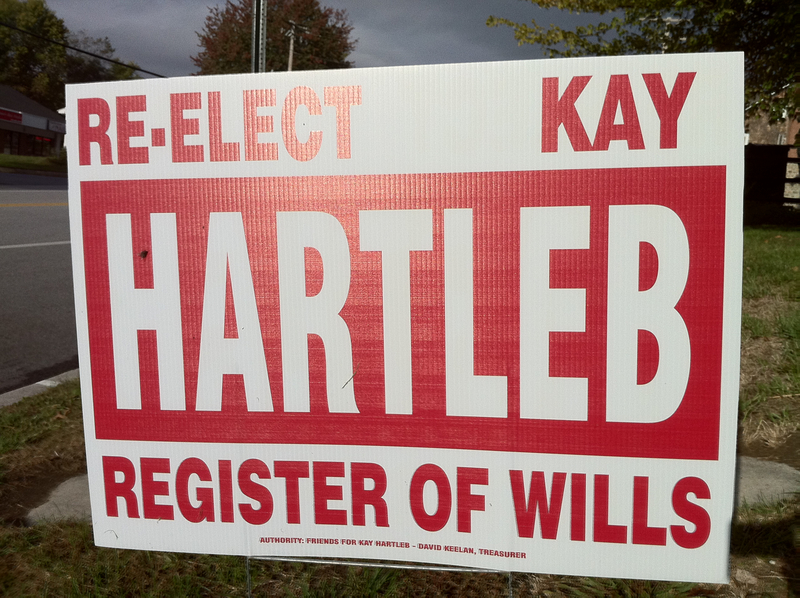 However as this article notes, if it does nothing else a sign has to reinforce the candidate’s name in the minds of the voters, and readability is paramount in that. The only mandatory elements are the candidate’s last name and the office they’re seeking. Design is a lot more subtle than people realize, though I think it’s possible for people to take it overboard. (See for example this discussion of the typefaces used by the Obama and Romney campaigns.) I personally think it’s worth finding the best graphic designer you can, even if they’re somewhat more expensive. If you don’t feel confident in your own taste find a disinterested third party (like someone you know who’s “arty”) and ask them for advice. How much more minimal could this be? The answer is none. None more minimal. But, as noted above, it gets the job done. At the other end of the spectrum, a sign with personality to burn. Here the personality gets turned down, but the red-and-white color scheme remains. A color scheme that (deliberately?) puns on the candidate’s name. It’s also the political equivalent of showing up at a party wearing the same dress as someone else—although to be fair there were a number of copycat design schemes in 2010, including (as we’ll see) the ubiquitous white text on dark blue background. 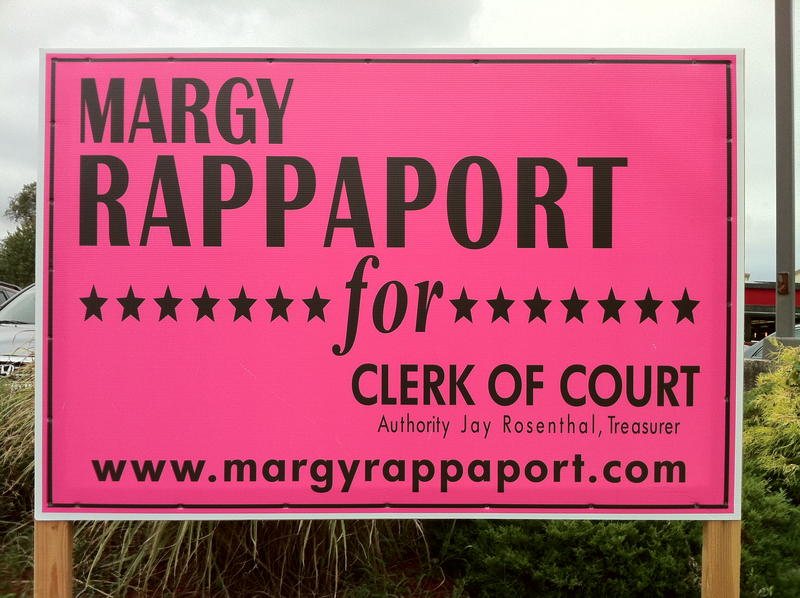 Lavender’s a color you don’t see that often in campaign signs. 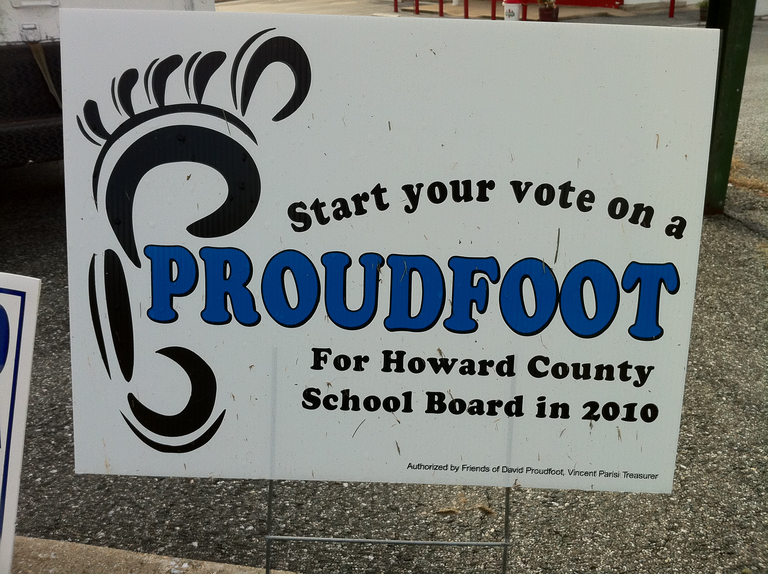 Using a foot as a design element was presumably an idea that was impossible to resist. Note also that this sign refers to the “School Board”; I think all the other candidates’ signs referred to the “Board of Education”. 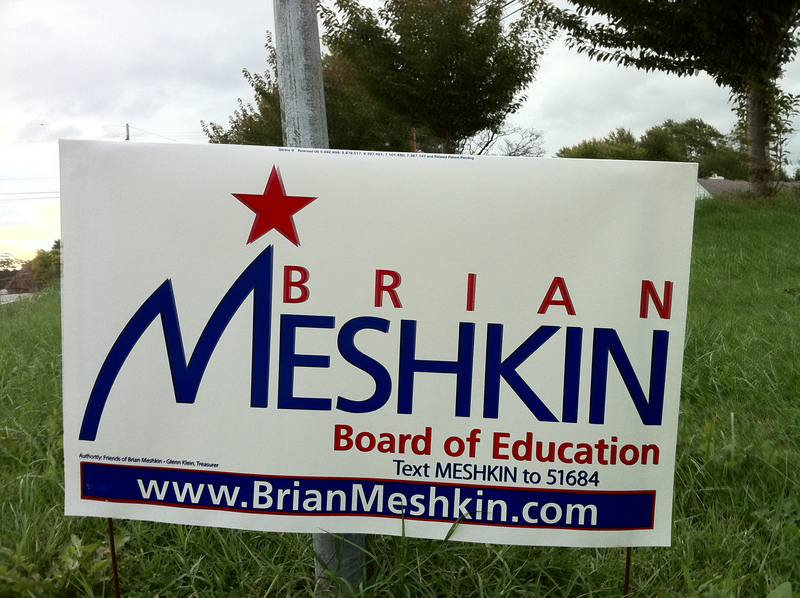 Brian Meshkin was one of several candidates listing a campaign website as an alternative to having people do a Google search for more information. I didn’t notice until looking very closely that it also includes instructions for texting him. 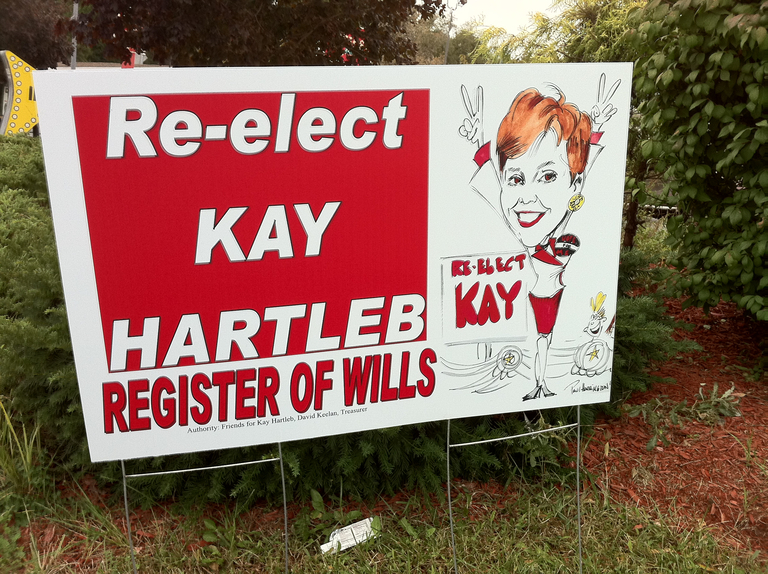 More 2010 campaign signs to come in part 2!